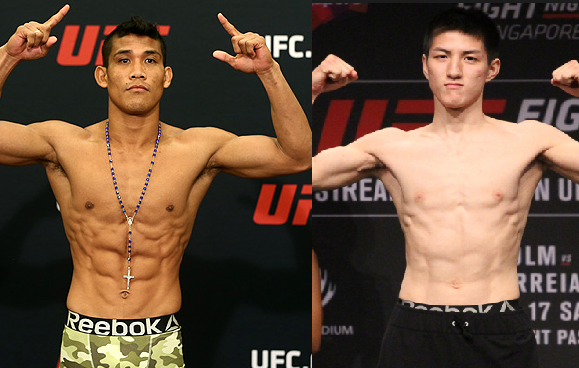 Jenel Lausa is scheduled to make his 3rd fight in UFC against the tough Japanese undefeated fighter Naoki Inoue in the undercard of St. Preux vs Mauricio Rua Fight. Lausa won his debut fight against Zhukui Yao via unanimous decision last year, then he fought Magomed in UFC 210 where he was over all dominated by the Russian fighter and lost unanimous decision last April. Naoki Inoue is a tough Japanese fighter from Toyohashi, the 5'8 Japanese has a record of 11 wins and most of his wins are by way of submissions. Inoue defeated the Filipino wrestler Carls John de Tomas in his UFC debut via unanimous decision last June 2017. The fight was also the debut of the Filipino in UFC. Lausa vs Inoue will be held at Saitama Super Arena, Saitama Japan on September 23, 2017.